There can be a great deal of confusion when it comes to explaining politics and economies. 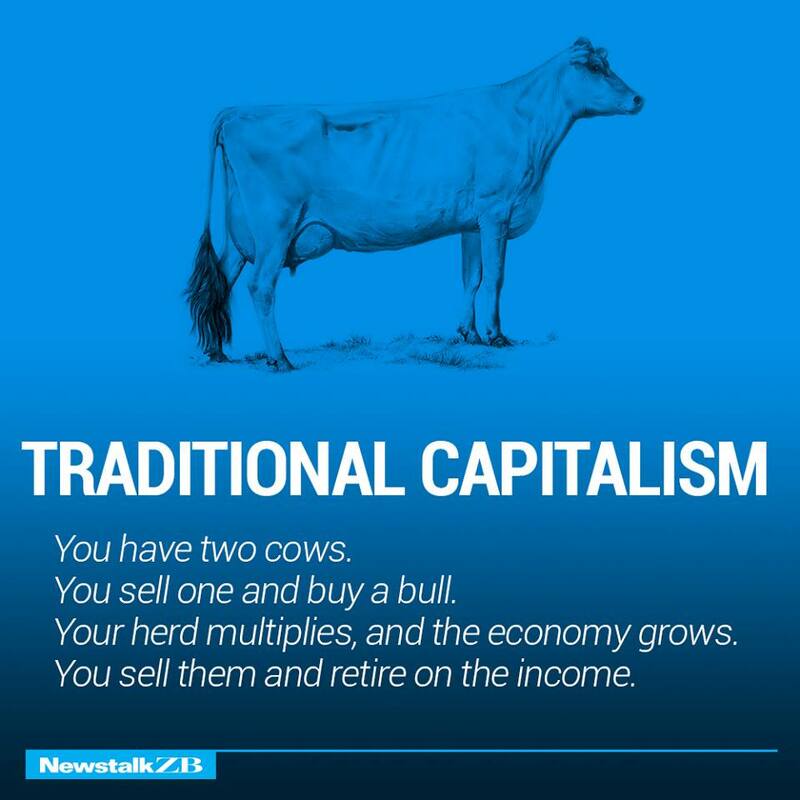 Don’t fret, NewstalkZB has created some humorous graphics using two cows to help breakdown the meaning of various economy terminologies and systems. These are already going viral on Facebook, but if you haven’t seen them, check them out.